Toilet Ek Prem Katha 1st Day Collection: Akshay Kumar’s latest movie TEPK, today, has its opening (1st) day (Friday). Here is the report of Toilet box office collections for the first day along with its occupancy report. Khiladi Kumar is in the lead role while Bhumi Pednekar is playing the female lead. 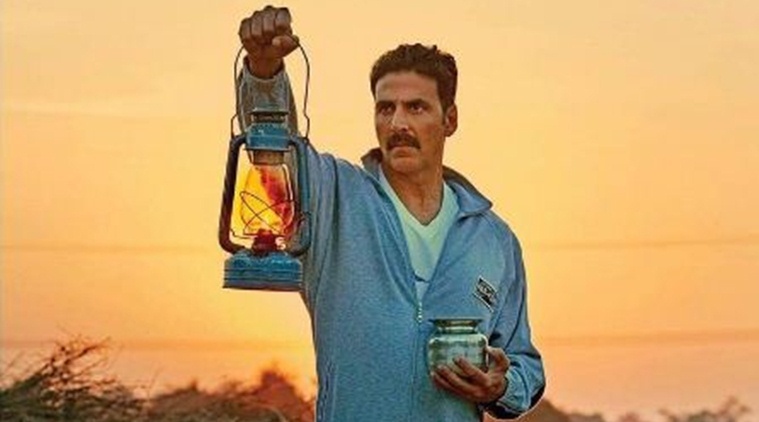 Set in the village background, the movie is produced by Akshay Kumar and Neeraj Pandey. And Shree Narayan Singh has directed it under the banner of Friday Filmworks and others. It released at the worldwide BO on August 11, 2017. It opened on around 3000 screens in India and 590 screens in the overseas market. It’s a big Independence day 2017 release and stars Anupam Kher and Divyendu Sharma in pivotal roles. TEPK has received good reviews from both the audiences and the critics. You can read our Toilet Ek Prem Katha review here. It has got a notable buzz in the industry and among the Akshay’s fans. The advance booking has been good. The early trends from the morning shows show that the film has got a slow start. The flick deals with the problem of open defecation in rural areas. Days before its release, UP CM Yogi Adityanath has announced it tax-free in the state. The average occupancy for the morning shows was around 20-25%. Later on, the occupancy increased in the afternoon and evening shows. The film is faring better in multiplexes as compared to single screens. And as expected, it is drawing a lesser audience from the urban areas against rural areas. The advance bookings opened late so, it may be affecting its business. It opened under expectations at-least for the morning shows. Akshay Kumar has lost his fans in masses. Considering the film’s perspective and appeal, the opening for the film was fair. Two big holidays are coming in the next week – Janmashtami on August 14 and Independence Day of India on August 15. So far, the word of mouth has been decent. Overall, the movie has got enough holidays to do a good business. It will be a double digit opening. Evening crowd will come for this content oriented film. The same happened with Akshay’s Airlift. The occupancy increased significantly in evening and it turned out to be a good opening day. We are expecting it to collect Rs. 15 crores (approx) on Friday. Let’s see how TEPK fares in its opening/1st week. Some of the Akshay Kumar‘s last movies have already earned in the range of 10-15 crores like Jolly LLB, Houseful 3, etc. Singh Is Bliing has been his highest opening grosser which collected Rs. 20.67 on first day. Stay tuned to TheReporterTimes for latest updates on Bollywood.